People are changing and cities are evolving. Safe and effective transportation solutions are becoming more important than ever as urban intensification continues. The meaning of “effective” is also changing, as communities search for ways to reduce reliance on cars and the congestion problems they bring. Since 1990, we have worked with municipalities, provinces, and private developers on projects large and small across Canada. Our multi-disciplinary team has almost 50 members and is still growing as we add to our talent pool. We also collaborate with partners like urban planners and landscape architects to ensure best results. 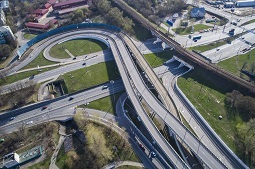 From existing locations to planned subdivisions, from rural intersections to complex freeway interchanges, McIntosh Perry brings creative problem solving and leading edge innovation to help make cities work better. Ask for a free proposal today. Call toll free 1-888-348-8991. Traffic engineering used to be about helping more cars use more roads. Today the approach is more people-centred rather than vehicle-centred. Planning roadway use now includes accommodating private carpooling, car sharing services, electric vehicle parking, bicycles, pedestrians, and multiple forms of transit. We provide complete traffic engineering services including the following. This includes conducting and preparing Transportation Master Plans for municipalities, with accompanying environmental assessments and corridor studies. 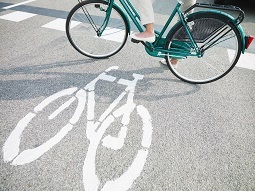 If you’re trying to encourage people to walk, run, and bicycle, we can tell you the most successful ways to update roads to encourage greater adoption of active transportation. Constructing new multi-unit residential buildings or new public attractions can make nearby roads more congested. Our studies accurately project future impact as population and employment growth continues through the decades. They are an essential step towards making smart adjustments to ensure the needs of local and through traffic are balanced. While roads are under construction, a traffic management plan is needed to separate the work and the workers from traffic hazards, and to protect traffic from construction activities. The goal is to minimize inconvenience to the community and overall congestion while the work is underway. An effective plan will always ensure that routes and signage for detours make sense, and that local traffic can get access and egress from the street. Traffic operational studies look at the details of traffic behaviour on current roadways. They’re a critical step before any new designs can be started. These studies include collecting data and analyzing criteria like vehicle speed, delays, the gaps between vehicles, collision histories, impact of pedestrian and other active transport, the impact of any recent developments, and inventories any intersection signalling and roadway signage. The result is a picture of how the needs of people are being served by the street in question. We use industry leading software like VISSIM/AIMSUN, Emme, ARCADY, Synchro, and SimTraffic to help us test assumptions and plan for your future as well as your current needs. This eliminates almost all of the trial and error and results in a much better outcome. According to the World Health Organization, over one million people die on roads every year. But when roads are designed better, there are fewer collisions and the impact of those collisions is reduced. Understanding the causes of past collisions holds clues to the best interventions for saving the lives of drivers, pedestrians and cyclists alike. Our plans leverage the best ideas from around the world, including traffic calming, speed reduction, conversion of signalled intersections to roundabouts (where appropriate), and other solutions with a proven track record. Parking may be a fact of life in urban environments, but studies and planning can make a difference to how much space needs to be allocated for parking when building new facilities. Our studies factor projected demand based on facility size, expected vehicle accumulation, turnover, and the availability of other transportation alternatives. We can propose effective management strategies, like time limits and fees that can help reduce the number of spaces needed, within city bylaw constraints. McIntosh Perry provides full planning, design, and contract administration services for roads and highways. 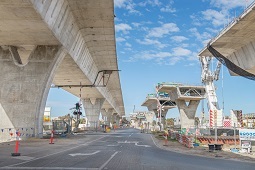 We can oversee your next infrastructure upgrade from assessment (including stakeholder and public consultation), through broad and detailed planning, to the completed roadway. Traffic and transportation engineering are complex disciplines that must balance multiple conflicting needs. When the goal is to make real improvements that will have a lasting long term impact, you need a company with experience and a proven track record. Just as importantly you need a company that will look deeper, find insights, and propose effective alternatives.